C&L Farm, LLC is offering an 18 month old son ("Dixon NS Dominate D603") out of "GW Predominate 848A" that will work on both heifers & cows. He is built right & has the EPD's to back him w/ 12 rankings in the top 25% category. He scanned Top 1% IMF at a 4.22 yielding both API & TI Top 1%. Weaning weight: 643 lbs. Yearling weight: 1,227 lbs. He is smooth fronted & big footed. Excellent phenotype & gate. He has been used to clean up here at the farm post A.I. Currently weighs 1,500 lbs. to 1,600 lbs. 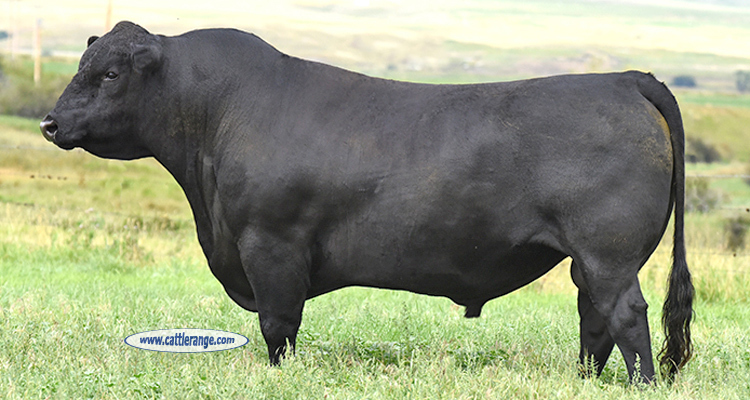 Homozygous Black & Polled. ASA.Reg #:3182549.